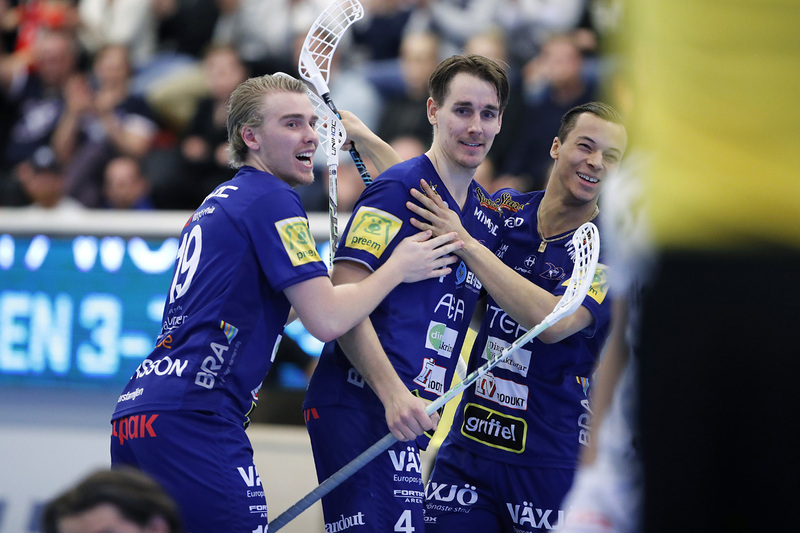 Växjö Vipers’ last season ended in the quarter-finals as they were beaten by Linköping in 5 games but the season before that they made it all the way to the finals. This quarterfinals the team faces Mullsjö which will definitely offer an amazing atmosphere and heated battles. Their biggest lost by far was the leaving of Eero Kosonen who was recently voted #1 best player in the world and made headlines as the first ever goalkeeper to receive such an award. For Växjö he functioned as a rock and the whole team relied on him. However, despite his absence, the team had a decent season and managed to qualify for the playoffs, however not with the same flair of past season. One of the team’s main firing power comes from Swiss sniper Manuel Maurer who adapted to Swedish floorball very quickly after his transfer this summer from Köniz. Another man behind the Växjö high-quality offensive is Jesper Sankell who is again showing that he can be relied on as this is his third consecutive season with more than 40 points in the regular season. In defense, one of the leading figures is named Johan Roos who can help team in offense as well as in defense and is a very important asset for team. Another important defender is Niklas Ramirez who is still relatively young (23 years) is already well-established player in SSL and received playing time in the national team in 2018. With his high pace he is useful on both ends of the pitch. However, with Mullsjö as the opponent the team will face a huge challenge right from the start. The team has to put all their cards on the table and the question is: what can they do against SSL’s powerhouse Mullsjö? The teams will meet on 21 March 19.00 for their first quarterfinals match.